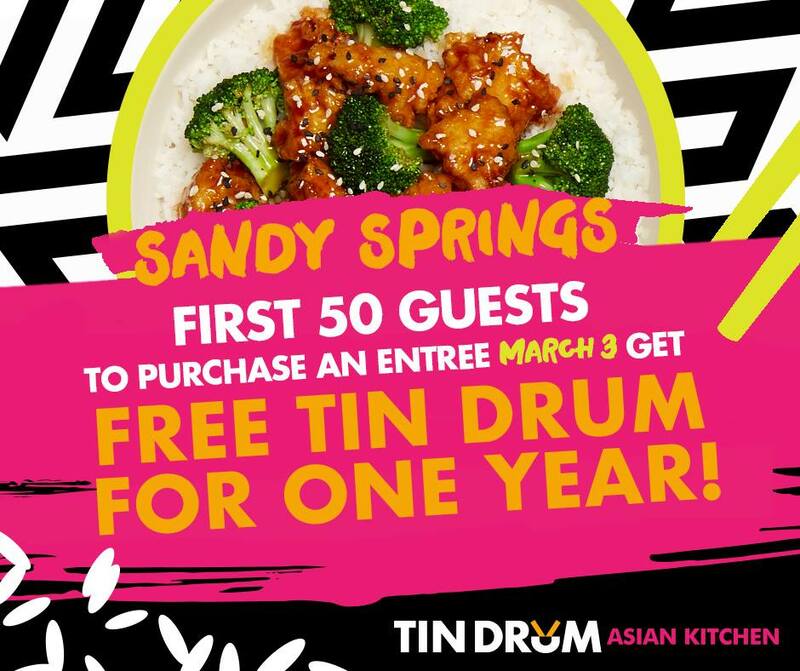 Join Tin Drum in Sandy Springs on March 3rd & 4th as we celebrate our newest Tin Drum location! Be one of the FIRST 50 GUEST to order an entree and you’ll get FREE TIN DRUM FOR A YEAR! We’re also celebrating with HALF OFF ENTREES and a portion of our sales will be donated to the Children’s Healthcare of Atlanta. We’ll also have CHOA bracelets available for purchase with 100% of the proceeds benefitting CHOA. Can’t wait to see you, Sandy Springs! The first 50 people to purchase an entree (Noodles, Stir-Fry, Curry, or House Dish) on Saturday, March 3rd will receive one free entree and fountain drink per month at the Tin Drum Sandy Springs location through 2/28/19. Winners must present the promotional monthly coupon prior to ordering. Additional charge for substitutions or add-ons may apply. In-store purchase only. Offer is non-transferable and may not be combined with other offers. Next post ONE MILLION FREE OREO® CHOCOLATE CANDY BARS!